Geeignet für erfahrene GMs und Neulinge, passt dieses Produkt perfekt in jedes Spielmeister-Arsenal. Nasse, trockene und dauerhafte Marker können von diesen Fliesen entfernt werden! Diese doppelseitigen Dungeon-Fliesen werden in praktischen Verpackungen zur einfachen Aufbewahrung geliefert. Bring deine Dungeons auf den nächsten Level! More tiles! More options! New size! Create winding forests with just a flip! 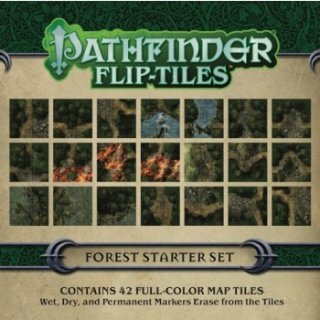 The new and convenient Flip-Tiles: Forest Starter Set features 42 full-color 6 x 6-inch map tiles, with forest paths and clearings on each side, all stunningly crafted by cartographer Jason A. Engle. These exciting new tiles put wilderness adventure in your hands! Suitable for experienced GMs and novices alike, this product fits perfectly into any Game Master's arsenal. Wet, dry, and permanent markers erase from the tiles! 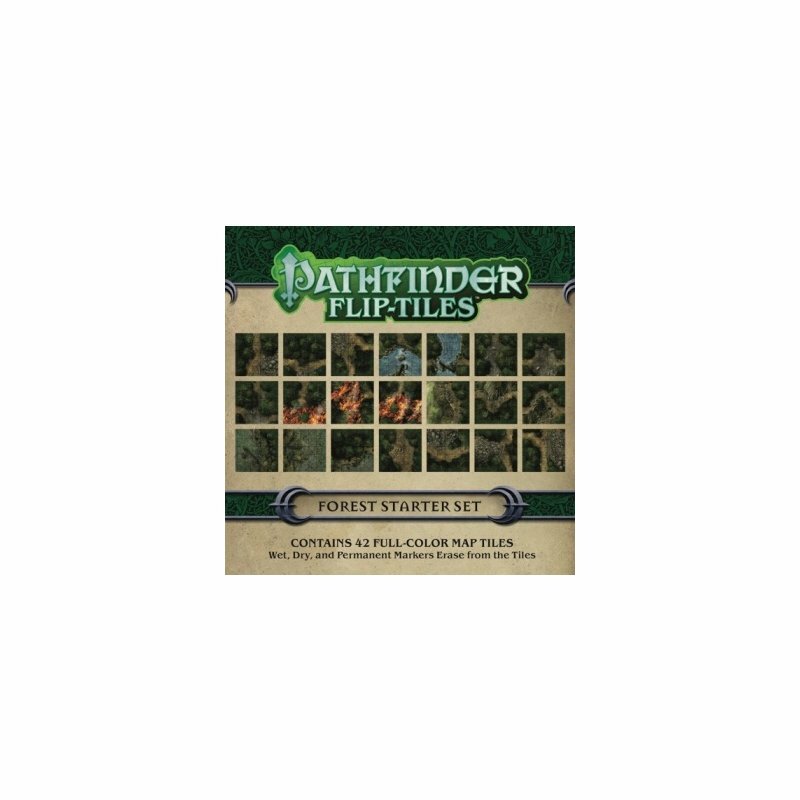 These double-sided dungeon tiles come in convenient packaging for easy storage. Take your dungeons to the next level!